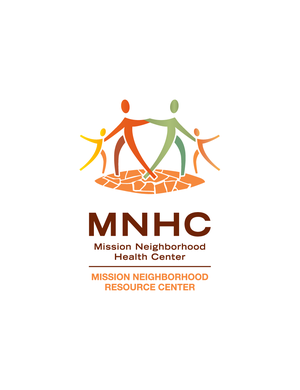 The Mission Neighborhood Resource Center (MNRC) is a project of the Mission Neighborhood Health Center, one of the oldest community health centers in the country serving the Mission District of San Francisco since 1967. MNRC opened its doors to the Mission community in 2002 at 165 Capp Street, in the heart of the Mission 16th Street Corridor. This year MNRC celebrates 15 years of Capp Street love. MNRC’s mission is to enhance the physical, social, emotional and economic health of homeless and marginally housed residents of the Mission District. MNRC has successfully developed a service model based on harm-reduction principles and practices that focuses on basic human needs while integrating enhanced services to support individuals as they move toward greater stability and well-being. Inspired by San Francisco’s 30 year history of providing neighborhood-based homeless drop-in centers in the Tenderloin, Bayview and South of Market neighborhoods, the Mission District’s approach combines basic survival services, case management, medical and mental health services, and community programs under one roof. Since its inception, MNRC has been at the forefront of movement building in San Francisco to help address the structural causes of homelessness and poverty. We believe in developing the leadership of people facing homelessness to advocate for the preservation of emergency homeless services, affordable housing, and the civil rights of poor people. We want to provide our participants an opportunity to see themselves as full, rich, human beings who have the right and ability to enhance their lives, speak for themselves and build community.